Serving as Associate Minister, Emily’s role here at the church includes a little bit of everything: preaching, worship leadership, Bible teacher and pastoral care. She is also the pastoral liaison for the Deacons, all Mission Committees, and the Christian Nurture committee. Emily met her husband, Doug, at seminary (he is also a Presbyterian minister currently serving as the Executive Director of Hope Medical Clinic in Ypsilanti). After their marriage in July of 1997, the couple relocated to Scotland and lived there for 9 years residing first in Glasgow and later in Edinburgh. Both of their children, Sarah and Hannah, were born in Scotland. Emily loves to travel, read, cook, watch movies, and spend time with family and friends. Jerry served as the Minister of Music and Worship in a number of settings for over 52 years, including positions at Trinity Baptist, Redford Baptist and Ward Presbyterian Churches prior to joining First Presbyterian Church of Plymouth. Jerry serves as the coordinator of worship, including oversight of all special music for the worship services and overseeing all music organizations at FPCP. Jerry also serves as the Director of the Chancel Choir. Jerry is a graduate of the University of Michigan Ann Arbor. 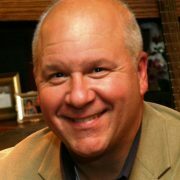 He has earned a Bachelor of Music, a Master of Music and a Doctorate of Education at U of M.
Jerry is married to Sharon, who is a professional pianist and accompanist at FPCP. They have 3 adult children, Darrell, Kimberly and Carole. 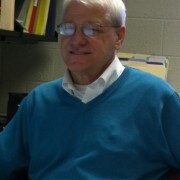 In addition to the church, Jerry has taught in public schools throughout Metro Detroit. 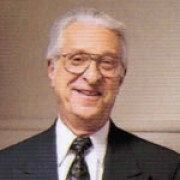 He served as the Director of Music at Bentley High School in Livonia from 1959-1985. Jerry also enjoys reading and traveling in his spare time. As Director of Youth Ministries, Josh coordinates the middle and high school ministries at the church, which includes Monday night middle school fellowship, Sunday night high school fellowship, fall and winter retreats and special activity nights, and the annual mission trip. Josh has been working with youth since shortly graduating from high school. It is his joy and passion to see teenagers lives transformed. Even though Josh was born in Northern California, he spent two years in Edmonton, Alberta attending Taylor University studying religion and theology. He then transferred back to Northern California to finish at William Jessup University with a degree in Christian Leadership. When Josh is not doing ministry, he loves playing and watching sports, spending time with friends, traveling, movies and photography. Random “Favorite” tidbits: Vacation place – Disneyland. Character – Donald Duck. Christian band – Family Force 5. Place to eat – Chick-fil-A. Darlene is the Director of Children’s Ministries. As Director of Children’s Ministries, Darlene coordinates, participates in, and oversees all aspects of young children’s programs, infant through grade 5. Darlene helps develop the calendar and yearly budget for Christian Nurture, maintains Sunday School registration, directs the Vacation Bible School (VBS), recruits Sunday School teachers and executes teacher training. She also writes articles for the bulletin, coordinates children’s mission projects with the mission committees and plans special events to include children in worship, including coordinating the integration of music into Sunday School. Darlene works directly with the Family Ministry team, the Christian Nurture committee, and the mid-week Bridge program, as well as supervises the Young Child Care Coordinator. Darlene, along with her husband Matt and their daughter Claire, has been active in church life since the Maginleys became members of FPCP. Darlene earned her BS in Education from Indiana State University and taught pre-school for several years. At FPCP, she has taught Sunday School, and pre-school classes in Vacation Bible School and Bridge. She is a Deacon, co-coordinator of FPCP’s Prayer Shawl Ministry Group and a former long-time member of the church’s Hand Bell Choir, the Joyful Ringers. Audrey has been a sixth grade teacher for six years. She is currently in her ninth year of teaching. Teaching and working with children has been her passion, and she can’t wait to share that passion with the families here at FPCP. Hussein is married to Esther, and together, they have 3 boys: Mark, Arthur and Nathan. Hussein graduated from the University of Malawi, Polytechnic in 1998 with a diploma in Architectural Technology. He joined the civil service as a secondary school teacher in January 2002. He resigned in August 2003 to continue studying, joining the African Bible College in August 2003. Hussein graduated in June 2007 with a BA in Biblical Studies and a double minor in Mass Communication and Christian Education. 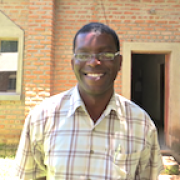 Hussein worked with college students at the Polytechnic in Blantyre in evangelism and discipleship from 2007 to 2009, then with the Yao people (who are predominantly Muslim) in Mangochi from 2009 to 2011. He took time off to study, and he is currently studying for a Master’s Degree in Christian Leadership at the African Bible College. 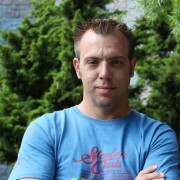 From January 2011 to present, he has worked for the partnership of Mtenthera and FPCP as its coordinator. He is a founding member of the Ebenezer Institute of Learning, an elementary school level for the congregation of Nkhoma CCAP. He currently serves as a board chairman for the school. Hussein’s hobbies include reading, music, movies, learning new things, and growing things, among many other things. We welcome Geff Phillips as our new Upper Room Worship Leader. He is no stranger to First Presbyterian of Plymouth as he has served as a substitute in the Upper Room on numerous occasions. Geff studied music and business at the University of Michigan (Dearborn). He sings and plays a variety of instruments. Although this is his first time as an “on-staff” worship leader, Geff grew up in the church and over the years has served as musician/vocalist at Bass Lake Family Camp, Christus Victor Lutheran (Dearborn Heights), Northridge (Saline Campus), Alpha Baptist (Livonia) and Life Church Canton and Livonia. Married for over 30 years to Nancy Phillips, Geff lives just a few blocks from First Presbyterian where he and his wife have raised their three adult children. 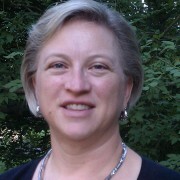 Julie is a graduate of Michigan State University with a degree in Urban and Regional Planning. 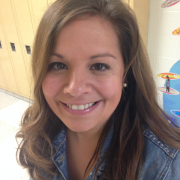 She has spent the past 10 years very actively involved in both the Livonia and Michigan PTA. Julie was confirmed as a member here at FPCP. She and her husband Bruce were also married here. Both their children were baptized and confirmed here at FPCP. Her son Josh is a student at Grand Valley State University and daughter Emily is a student at Livonia Franklin High school. Julie’s responsibilities include assisting ministers and staff in information research, database creation and maintenance and other digital information related tasks. She is also responsible for creating the weekly bulletins. In her free time, Julie enjoys reading, baking, crafting and running with Bruce. Susan’s role as Communication Administrator includes supporting the church’s overall communication activities, including the main Facebook pages for the church, the FPCP website, the church calendar, and assisting with web-, graphic- and A/V-related requests. 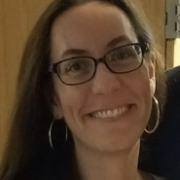 Susan has worked with the clergy and music staff in support of the Upper Room service since October 2009, providing audio/visual support, video development and technical support, as well as VBS, music programs, Worship, Mission and various youth programs. 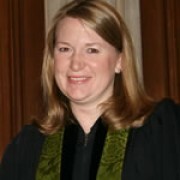 Susan is an ordained Elder, serving in the past on the Stewardship and the Communications Committees. She has sung in the Chancel Choir and the 5th Season Ladies Ensemble, and participated in the Bridge Midweek Ministries, as well as chaperoned various high school mission trips. 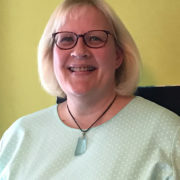 Susan is a graduate of Michigan State University in English Education in 1987, after which she taught English and Social Studies for 2 years, followed by 19 years working at Toyota Technical Center, USA as Administrative Assistant, Executive Assistant, and Communications Specialist. She has also received a certificate of Graphic Design Technology from Washtenaw Community College (2006). Susan has been married to her husband, Todd, since 1989. They have two children, Breana, who is studying nursing at Oakland Univ., and Mathew, who is studying Psychology and Music at Alma College, as well two dogs: Pete and Josey. Sue is responsible for musically leading the Sanctuary congregation in group worship and setting the tone and style of the service. She assists brides in constructing the musical portion of their worshipful wedding service. She also directs the Joyful Ringers Handbell choir, leading them to higher levels of musicality and skills, which includes regional festivals and workshops. Sue began piano lessons at age five and advanced to the organ in high school, taking her first church position as a junior in high school. She’s served as organist in two American Baptist churches and a Lutheran Church in America church before coming to First Presbyterian Church of Plymouth in 1983. Sue is married to the love of her life and has two grown children, three grandchildren and four step-grandchildren. They all play an important part in her life. Sue is a buyer for a syndicated catalog company and travels much of the first two months of the year. Although she loves travel, she’s happiest when she’s at the incredible organ at FPCP. In her role as Accompanist, Sharon supports the Chancel Choir and the Children’s choirs, as well as provides accompaniment for special music services and featured musicians. In her role as Assistant Organist, she supports the Sanctuary worship service several Sundays per year, as well as provides music for occasional weddings and funerals. Sharon is also the Director and Accompanist for the Fifth Season Women’s Ensemble. 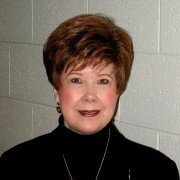 Sharon attended Belmont University in Nashville, Tennessee as a Piano major. She then attended Wayne State University in Detroit, Michigan, also as a Piano major. Sharon is married to Jerry Smith, Director of Music at FPCP. They have three children: Darrell, Kimberly (Swan) and Carole (Moon), and five grandchildren: Rebecca and Tyler Smith, Madison Moon, and Devon and Nathan Swan. 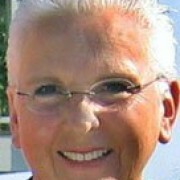 Sharon has been a piano teacher for over 40 years. She thoroughly enjoys being a grandmother, and is very closely involved in the lives of her family. Apart from music, Sharon’s other special interests include reading, cooking and shopping.